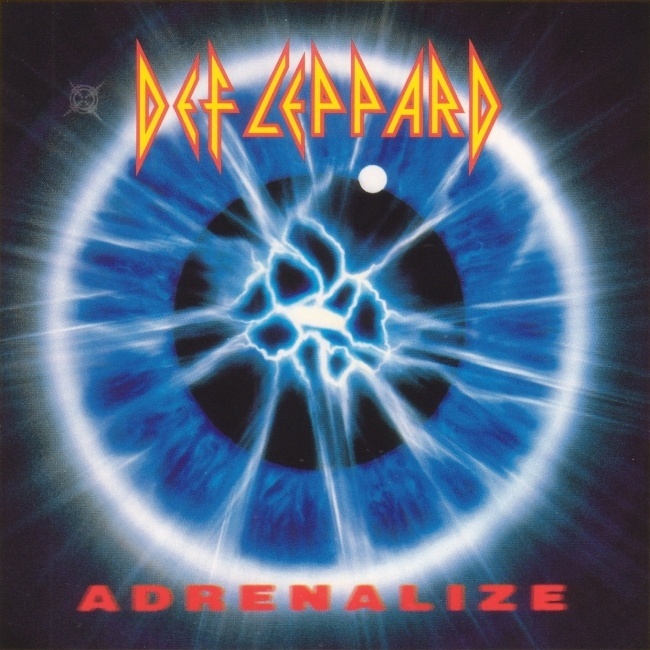 Def Leppard's fifth studio album Adrenalize entered the US album chart at Number One on this day in 1992. This was the band's second Number One album in the USA after 'Hysteria' reached the top in July 1988. 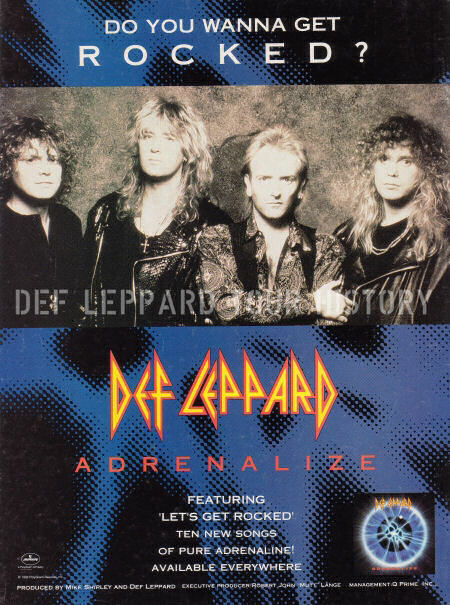 'Adrenalize' entered at the top spot on 18th April 1992 after its North American release on 31st March and would spend the first five weeks at Number One. It sold 380,000 copies in its first week and almost 100,000 copies a week for the next four weeks alone. By the end of May the album received simultaneous Gold, Platinum and 3 x Multiplatinum certification. Selling over 3 million copies over two months before the band played its first US shows to support the album in August 1992. It would go on to spend 65 weeks on the Billboard Top 200 chart between April 1992 and 10th July 1993. The run at the top lasted until 16th May and it would spend the first 15 weeks inside the Top 10 (compared to Hysteria's 77 weeks). They were knocked off the top by Kriss Kross with their album 'Totally Krossed out'. Bruce Springsteen's two new albums had been released on the same day and entered at Number 2 (Human Touch) and Number 3 (Lucky Town). His sister Pamela had taken some of the photos of the band for the 'Adrenalize' album booklet and the promo photo used on the 'Let's Get Rocked' single inlay. 'Human Touch' would only spend two weeks at Number 2 behind 'Adrenalize'. Other notable albums in the Top 10 on this day were Nirvana at Number 7 with 'Nevermind' and Ugly Kid Joe at Number 8 with their 'As Ugly As They Wanna Be' EP. They would go on to support Def Leppard in Europe, UK and North America in 1993 towards the end of the Adrenalize world tour. A future Lep friend (who attended a VIVA! Hysteria show and was pictured with the band) Wynonna Judd, was at Number 4 with her self titled 'Wynonna' album. The 'Wayne's World' movie soundtrack was at Number 5 having been at One the previous week. Read a 25th Anniversary Special feature on the album marking 25 years since its release and telling the story of how it was made featuring many rare quotes from all band members.